When: Saturday, February 11, 2017, 2 p.m.-4 p.m.
What: The science of the sip, wheat, barley, corn, rye, and mash bills. About the Cocktail Academy: Join Hook & Ladder for a series of cocktail classes led by Beverage Director Chris Tucker. Each class will last approximately 2 hours and feature a lecture and demonstration, tasting, and hands on drink creation. Enjoy small bites from the kitchen while you practice your skills. What: Join the Bourbon Babes and Empress Tavern to kick off a week-long celebration for National Bourbon Day! If bourbon on a Monday isn’t your jam, Empress Tavern will feature the Bourbon Babes cocktails throughout the week during Happy Hour, 4pm-6pm. $1 of your Bourbon Babe cocktail purchase will support the American River Parkway Foundation. What: Bourbon Babes and DISPLAY will host a DIY cocktail making class where attendees can learn how to make the Babes’ signature cocktails. You will also be able to grab a limited edition DISPLAY: California x Bourbon Babes collaborative poster as well as shop at “The Bodega” for all your locally sourced California products. What: It’s good to know people. And in this case, it’s good to be a Requested user. This month, Requested partners with the lovely Bourbon Babes and handsome de Vere’s brothers for an exclusive bourbon tasting event. We’ve curated a special selection of bourbon and whiskey for the event. Each Babe has picked a favorite from de Vere’s expansive menu and will offer their own tasting notes. Henry and Simon, brothers and owners of de Vere’s Irish Pub, will create a surprise flight with 4 selections from the Babes’ curated list. All the items on this exclusive tasting menu will be offered at special pricing. 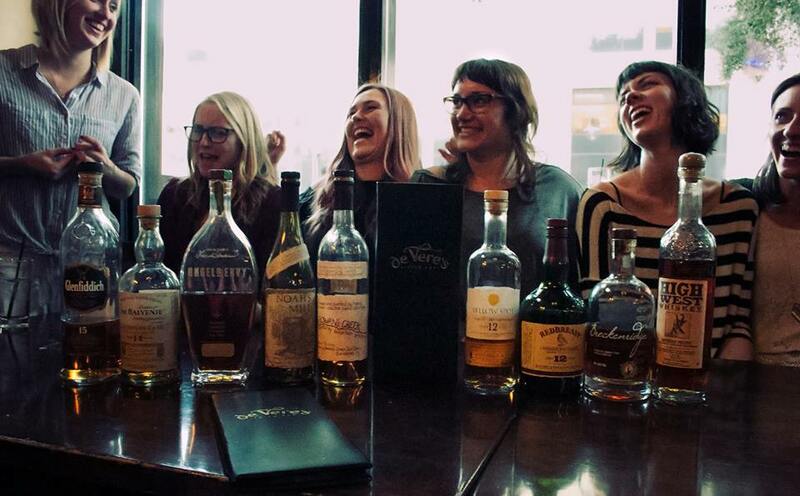 What: Celebrate National Bourbon Day with the Babes. Drink delicious cocktails at some of our favorite Sacramento bars. Who: All Girl Babes and Boy Babes are invited to join. You don’t have to be a bourbon drinker already, but chances are you’ll become a devotee!